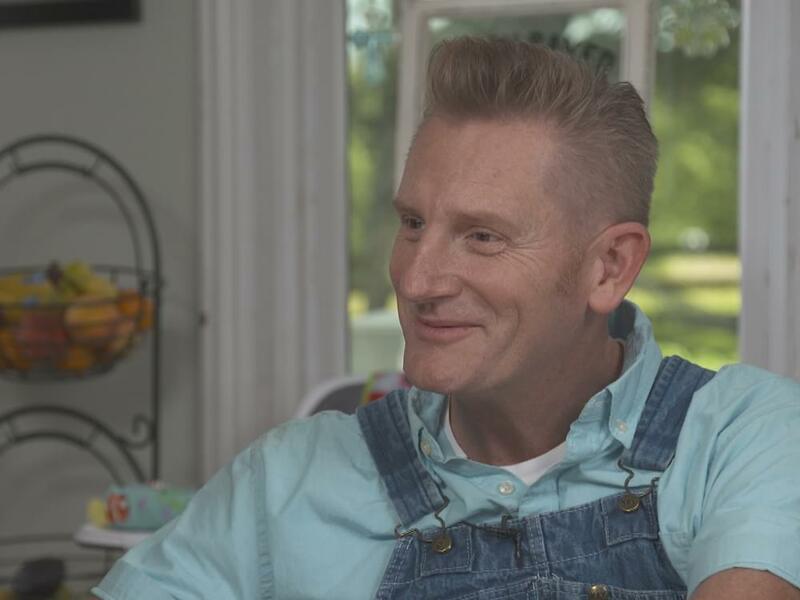 It’s been more than two years since Rory Feek lost his wife—and Joey+Rory duo partner—Joey Martin Feek to cancer in March 2016. Since that time, Rory has had to adjust to being a single father to their daughter, Indiana, 4, who was born with Down syndrome, as well as his daughters—Hopie, 29, and Heidi, 31—from his previous marriage. Rory has also had to adjust to performing onstage without his longtime partner. CBS Sunday Morning’s Anthony Mason sat down with Rory to talk about the two years since Joey’s death, including his reaction to finding out Hopie was gay. Below are a few excerpts from the interview that will air on June 17 at 9 a.m. CT on CBS.